For years, Tracy Whitney and Jeff Stevens were an unstoppable con team. Together, they pulled off impossible heists against rich, greedy, and corrupt people, and earned enough money to afford them comforts for the rest of their lives. But the illustrious couple gave up the excitement of their criminal lifestyle to opt for something more normal...marriage. In the time following the wedding, their lives seem to be going great. Jeff gets a job curating an exhibition at the British Museum, putting his passion for antiquities and sharp mind to good use. Meanwhile, Tracy makes plans to fill her time by having a baby. Jeff excels at his new career, but Tracy struggles to conceive. This causes her to long for the thrill of her con days. Naturally, this begins to eat away at the couple's indestructible relationship. When accusations of infidelity are brought to light, the relationship reaches a breaking point, and Tracy leaves Jeff. Ten years later, the two are leading separate lives. Jeff, who is back in the con game, still thinks of Tracy everyday. More than anything, he just wants to know that she is alive a doing well. Tracy has retreated to a quiet life in Colorado, and has completely given up a life of crime. She knows that Jeff is a good man, but she can't let him back into her life. She is shocked when a French Interpol officer contacts her at home. She did a thorough job of erasing her past, but it seems that it may finally be catching up with her. The officer informs her that he has connected a series of ruthless murders to heists in cities that Tracy was active in. Tracy is disturbed at the thought that someone could be framing her for these crimes and worse, that the person doing this could be Jeff! 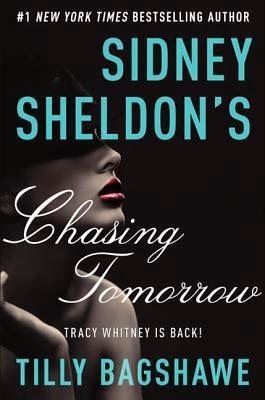 Again, Tilly Bagshawe publishes a novel under the late Sidney Sheldon's name. This is a sequel to Sheldon's If Tomorrow Comes. I didn't read the book by Sheldon, so I can't speak to Bagshawe's continuation. That being said, the fast pace, relatable characters, and intriguing twists make this a quick and enjoyable read that works just as well as a standalone novel. I was surprised at how much I sympathized with Tracy and Jeff. The family drama that they deal with helps the reader realize that despite being criminals, they are everyday people with everyday problems. These traditional human elements mix with the thriller aspects to create a fun, exciting novel that completely does justice to the legacy of Sidney Sheldon. A review of a book to film adaptation. Lately, it seems as if Hollywood will do anything to produce a surefire hit. Instead of taking risks with original material, studios rely on established franchises and characters to draw in audiences. They have even gone as far as to completely remake or "re-imagine" previous films. And so, 37 years after Stephen King's debut novel, Carrie, was originally adapted for the big screen, we get another film version of his classic high school revenge story. The film follows the shy high school student Carrie White (Chloe Grace Mortez), as she endures relentless bullying from her peers. From the start of the movie, we are aware that Carrie does not fit in. She is shy, quiet, and a bit awkward. At home, a religious and disturbed mother, played by Julianne Moore, attempts to shield her daughter from the sinful outside world. This sheltered lifestyle ends up being the root of Carrie's problems. While showering after gym class, Carrie experiences her first period. Terrified by the blood, she panics, having a meltdown that draws the attention of the entire locker room of girls. But instead of helping the frightened girl, the others mock her, throwing tampons at her, and posting a recording of the entire horrific incident. One girl, Sue Snell, feels bad for the mistreatment of Carrie, and has her boyfriend ask Carrie to the prom as a way to make amends. Meanwhile, Carrie discovers that she has telekinetic powers that enable her to manipulate objects with her mind. Both empowered by this new found skill and terrified of its possibilities, Carrie wants nothing more than to be normal and to fit in. So, she accepts the prom invitation. The rest of the story is an infamous scene of the horrors of bullying and the revenge that follows. This is the ultimate revenge story. The talented cast of this film help to make the audience sympathize with Carrie. As she exacts her revenge, we are drawn to cheer her on, even when the revenge becomes out of control. Despite its age, this story rings with social relevance, commenting on bullying, the power of social media and other technologies, and the basic human desire to be accepted by our peers. Fans of Stephen King, horror movies, and thrillers are sure to enjoy this well done remake. Have you read the novel or seen the movie? If so, what did you think of it? What book adaptations would you like to see as a future Friday Flicks post? Nick and Amy Dunne seem like the perfect couple. Living a dream life in New York, the pair of writers appear to have it all. She, a stunning blonde, star of her parent's children book series, and writer of magazine quizzes, is the perfect mix of brains and beauty. He, good looking, smart journalist, with the perfect wife to match, is the stereotypical all American boy. Together, they live their perfect life in their perfect home. But all that changes when both are laid off from their journalism jobs. With no viable job prospect in the city, Nick decides that they should move to his childhood hometown in Missouri, where both of his health stricken parents and twin sister Margo live. Amy reluctantly agrees. On the morning of their fifth wedding anniversary, Nick is at the bar that he owns with Margo. He is contemplating the inevitable anniversary scavenger hunt, a quirky and romantic tradition that has Nick retrace the steps of the couple's relationship, when he receives a courtesy phone call from his neighbor alerting him that his front door is ajar. Concerned, he comes home to discover that some furniture has been knocked over, and that Amy is nowhere to be found. Immediately, the police are notified, and an investigation ensues. Through Amy's diary entries, we learn that their picture perfect marriage was anything but. These entries alternate with accounts of the ongoing investigation from Nick's perspective. As the authorities and 24/7 news networks delve deeper into the case, Nick's story begins to break down, making him the prime suspect in Amy's disappearance. With Nick continuing to profess his innocence, the entire community begins to question how well they know the people who surround them each day. This is a first rate thriller from top to bottom. Each character is crafted with the kind of gray morality that both mimics real life and provides plenty of natural misdirection throughout the story. Flynn reveals the flaws in everyday people, and places them into situations that bring horror into their mundane lives. Many reviewers have found the ending to be disappointing. I also was a bit taken aback by the way the narrative wraps up, but after contemplating it for a while, the ending seems to be inevitable. 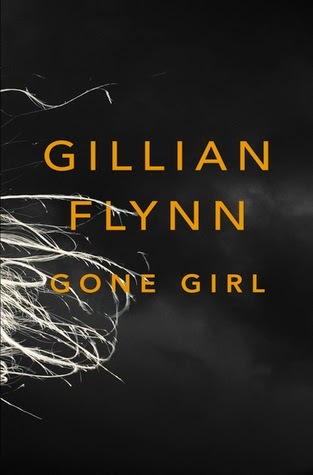 In the end, Flynn does not give us the tidy package that we have come to expect from similar novels. Instead, she maintains the dark and twisted nature that reality too often provides. This novel definitely deserves all the hype and acclaim it has received, and I highly recommend it. Over the course of his career, Tim Burton has established himself as one of Hollywood's leading directors. His fantastic, often dark and macabre visions are combined with a knack for telling compelling stories that audiences relate to. 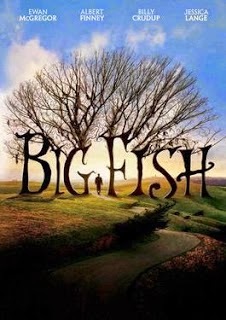 In his adaptation of Dan Wallace's novel, Big Fish, he puts forth an unusually lighter film that is arguably his most personal. The film begins with the elder Edward Bloom (Albert Finney) speaking about the day of his son Will's (Billy Crudup) birth. While his wife was busy giving birth, Edward was out catching the largest, uncatchable fish that you can imagine. Will, now grown up, struggles with his father's penchant for telling "Tall Tales" and claims that he has no idea who his father really is. Edward continues to tell that fantastical story of his youth and the events that lead to him meeting his wife. During this time, Burton employs small flashbacks, vignettes that show each of Bloom's stories, with Ewan McGregor portraying the young Edward. Burton's visual aesthetic gives these stories a Southern Gothic flair that makes them each seem just a bit beyond reality. Will continues to struggle with his father's tales, claiming that it is impossible to know who his father really is. This causes a three year rift in their relationship that doesn't end until Will receives the news that his father has had a life-threatening stroke. When Will comes to the ailing Edward's hospital bed, he realizes that his father's life has been defined by the stories he tells. With this realization, he begins to tie up all of the ends of his father's tales, repairing their broken relationship. This is probably Tim Burton's deepest emotional movie. Each character is given a strong arch, allowing Burton's visual pyrotechnics to be matched by emotional revelations that are equally spectacular. The tall tales lend themselves to the fairy tale style that the film inhabits, creating an exceptional adaptation of Wallace's novel, and a delightfully satisfying film. A few years ago, The Reader was one of those novels that everyone seemed to be reading. Boosted by a successful film adaptation and a selection as one of Oprah's book club reads, this short novel captured the attention of readers around the world. I purchased my copy, but like far too many of my other novels, The Reader languished on my shelf as a book I would "get to one of these days." This summer, as I was preparing to move, I stumbled across my copy and decided to finally give it a read. 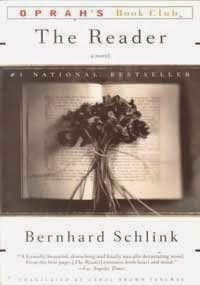 The novel opens with Michael, age fifteen, traveling through the streets of Germany on his way home from school. He falls ill and is rescued by a mysterious woman, twice his age, who takes him to her flat. There, she nurses him to health and sends him home to his parents and siblings. For some reason, Michael can't stop thinking about the woman. He decides, under the guise of thanking her for helping him, he will wait by her flat. When the two meet and are properly introduced, her name is Hanna, they become an odd couple. They fall into a forbidden love affair that sees young Michael discover his own sexuality and forces him to deceive his family and friends. It is not immediately clear what Hanna stands to gain from the relationship, but she confidently guide the boy to fulfill whatever her needs may be. But just as suddenly as the affair begins, so it ends. One day, out of the blue, Hanna disappears, leaving Michael to question his own actions and wonder if the feelings he had for Hanna were real, or simply a boyhood crush. Whatever the answer, the relationship casts a shadow on his life. Years later, Michael, now a law student, comes into contact with Hanna again. After years of no contact, Hanna is on trial for horrendous war crimes. Haunted by this ghost from his past, Michael observes as the once strong woman cowers and refuses to defend herself. How could she willfully participate in the acts she is accused of? Michael struggles with the feelings he felt and still does for the woman he loved as he tries to come to terms with the man he has become. This short novel manages to pack in many ideas and moral questions that surpass the simple explanation of a book review. Even my summary fails to paint a broad enough picture without revealing and spoiling too much of the plot. That being said, this is a bold novel that dares to hold a mirror to society, history, and the reader. Through this story of forbidden love and coming of age in the time of war, the reader is faced with questions of love, lust, and the amount of suffering we are brave enough to endure in order to maintain our pride. While I would not say this is an entertaining read, it does move quickly and stirs up moral conversations that make it well worth the read.